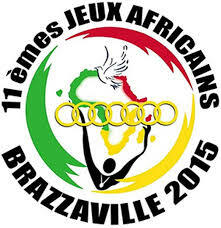 Egypt secures FIRST place in the 11th All Africa Games (4th-19th of Sep 2015), which celebrates its 50th anniversary this year in Brazzaville, Congo. All 54 member countries compete in 22 different sports. This year Egypt won a total of 193 medals and counting, as of today Fri Sep 18th. Ihab Abdel Hameed, the World’s Javelin Throw Silver Medallist, won a Gold with a mighty throw of 85.37m, while the stunning, talented swimming squad won a second place to South Africa with a total of 11 gold, 18 silver, 12 bronze. Shining Swimming Stars 19 Year Old Ahmed Akram (Twitter: ahmedakram96) and 20 Year Old Menna Osman (Twitter: @faridaOsman18) reaped 4 Gold medals EACH. In second place is 2011 winner South Africa with 121 medals and third is Algeria with 110 medals. In para-sports, Egypt ranks top too with 13 medals. The host country Congo ranks 7th with a total of 19 medals. Previous articleAll you need is some HONEY!